PEI is well known for Potato Production and annually produces around 25 million hundredweight (cwt) of potatoes annually. The potato is a starchy, tuberous crop from the perennial Solanum tuberosum of the Solanaceae family. There are many varieties grown on PEI for table use, processing and seed. These include Russet Burbanks, Round Whites, Reds, Yellows, Blues and Fingerlings. Prince Edward Island Potatoes are convenient and versatile. Before cooking, wash gently with a vegetable brush using cool water. 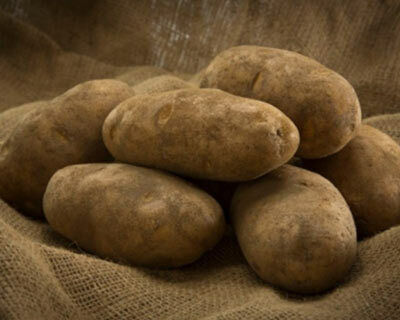 Potatoes contribute many nutrients to our diets including Vitamins C, B6, Folacin and Magnesium.